Hotmail update to clear your inbox of "greymail"
So Google freaked out over night. Thousands of people all over the world were cut off from all things G as an error in the internet giant’s system diverted vast amounts of traffic through their Asia servers. It caused 14% of all their users to have a slow and interrupted service. That’s a lot of users. For many it brought their web life to a standstill, so reliant are they on Google and all its products but there’s no need to fear. Google don’t and will never own the internet and there’s a million and one alternatives to everything they do. So, next time their service goes down, here’s five ways to keep you winning while Google fails. 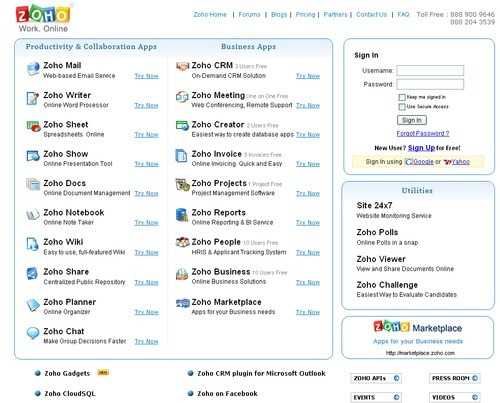 Before Google came along there was a huge choice of search engines. The likes of Webcrawler, Lycos and Ask were around a good five earlier and they’re still going strong – just not compared to the G monopoly. I entered the term “Squeaky Bum Time” into Google, Alta Vista, Yahoo!, Lycos and the self-proclaimed “World’s Biggest Search Engine” Cuil. 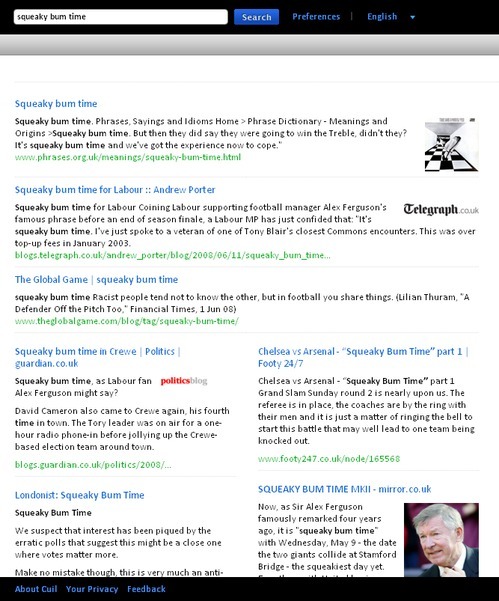 All of them came up with relevant results, most of them started with the definition of the idiom as the first result and they all returned pages on Alex Ferguson – often in relation to the Russian and Swedish football teams. Each engine demonstrated understanding of the phrase and its relevance to modern culture. The bottom line is that you’re going to find what you need, certainly, between them, if not, with each individually, and design-wise, there’s plenty to chose from for something that’s both straight forward and pleasing to use. I don’t use gmail but I understand I’m in some kind of minority here. I know that there’s plenty of good things about it, such as IMAP and POP3 options, the layout and the spam filter that’s pretty much as good as it gets, but everyone has back up e-mail accounts, right? Tell me you do? Everyone needs junk mail services – ones that you might use for entering competitions or signing up for newsletters or just when some website makes you register with them before you use it. Just make sure that you don’t put all of your e-mail eggs in one basket. Spread your e-mail service of choice around a bit. They all go down from time to time so you unless you want to be stuck every time they do, keep all your contacts in a few different ones. At the end of the day, e-mail’s e-mail. You can attach a world of bells and whistles but so long as you’ve get plenty of storage, you can search, you can send and receive and it doesn’t cost anything, then it’s good enough. Oh, and if you really can’t face leaving Google’s bosom on this one, then at least use one of the online services that stores all your contacts like 02’s Bluebook or Mobyko. At least then you’ll be able to contact friends and family when meltdown next arises. “My Google Docs!” was a typical cry yesterday on Twitter as access to all manner of the most important spread sheets and cloud office files were rendered inaccessible. The first thing I can suggest here is a bit of an obvious one – back them up. Now, I’m not saying back up everything – no one can be bothered – but don’t leave the most important files at the mercy of the whims of the web. If Google doesn’t go down, your own home or office network might so keep mutliple copies of the grade A important bits and pieces. That’s really down to discipline though and either you’re that kind of person or you’re not. Don’t worry, I’m not either but I am the kind of person to spread my footprints around the web and I use Zoho Docs as well as Google’s service. It’s got more than I could ever use from docs and spreadsheets through to calendars, planners, projects, invoices and business reports. In fact there’s more than any other service, it’s easy to use and it looks pretty too. When Google goes down, all its little buddies do too including the enormously popular YouTube. Sure it’s got over 62 million videos and gets at least five times more daily plays than anyone else but there’s still plenty of competition and, more to the point, weeks’ worth of footage to enjoy on all sorts of others services. Vimeo, Imeem and Metcafe are all good choices and, because they’re not quite so big, there’s probably a better overall standard of quality, a little less of the happy slapping and not quite the insanity of the famous “YouTube community” to contend with. The other bonus of being smaller is that any copyright sensitive material is more likely to remain there unseen without the big companies demanding its removal. Websites relying on Google Analytics had a bit of an issue last night with many refusing to load while they were waiting for the stat service to kick in. Now sadly, as a user, there’s not a lot you can do about that if the site in charge hasn’t done the decent thing and disabled the service to keep their site afloat. What I can at least do, is recommend a few other good stat services that’ll run at the same time as GAnalytics so that you can keep an eye on your traffic even when Google throws a wobbly. StatCounter is one. It doesn’t necessarily give you the most accurate reflection of what’s going on but it is consistent, so you will be able to view the trends – probably all that matters when you get down to it. The other bonus is that it’s easy to use and it’s free. If you want to feel good about yourself, you can try a service from the open source community called AWstats. It doesn’t have quite the same straight forward functionality as Stat Counter but it is accurate and free to use too. What happens to your user name when you die? User names are starting to become an issue. One’s identity online was never really a problem beyond trying to get the top result in a Google search – not an easy feat if you’re name’s John Smith but as Dan or Daniel Sung, depending upon how I’m feeling, I’ve always enjoyed the luxury of being somewhere near the top. The trouble is, that my name’s not so rare that I always get my choice of user name on all the big services out there. Most people’s aren’t but, again, that was never really a problem when it was just about e-mail addresses, but now that Google profiles becoming all the rage and services like Twitter actually affect my career, suddenly, my juvenile choices of [email protected] and [email protected] aren’t very useful any more. I can’t get [email protected] It’s too late, unless I want to add a bunch of underscores and a three digit number, and because of that I can’t get the vanity URL I’m after. 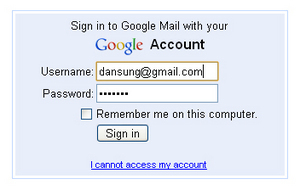 Regardless of whether [email protected] has actually clued up to the possbility of his http://www.google.com/profile/dansung address (and he hasn’t because the link’s dead) the fact is that I can’t have it because I don’t have the [email protected] user name in the first place. Instead, I have to be satisfied in my petty revenge that enough spambots should have picked up his credentials by now and sent a few thousand messages to clog up his account. So, how do I go about getting my name back, aside paying the guy for it? What if it’s some kid who never uses the account? What if the owner of [email protected] is dead? Any chance then?Well, I seem to remember in the terms and conditions when I signed up to hotmail that if you don’t use your account for 60 days or so, then MSN terminates it, and, in fact, having asked around all the majors – Gmail, Yahoo Mail, Hotmail and Twitter, that does seem to be largely the case. Here’s how it runs. Google was very helpful on the matter, answering my question directly and then pointing me towards the supporting terms and conditions. Google will terminate your account in accordance with the terms of service if you fail to login to your account for a period of nine months is the phrase I was looking for along with the fact that people can actively delete their accounts. Now, the tricky part is that, although the user names will become freed up, it will only happen after an unspecified time period and I’ve no idea whether that’s a matter of days, months or years. Still, there is some hope for [email protected] to eventually arrive at its rightful owner. Yahoo! was also most accommodating. The answer was very different though. It seems, with their service, that once your name has gone, it’s gone forever. As it stands, inactive accounts are not terminated and will lie idle indefinitely. No reply back from MSN as yet but I’ll stick with that 60-day account termination I remember from back in the day. No word on whether they recycle the addresses but I’m infuriated to see that I’ve only got a choice between hotmail.co.uk and live.co.uk with all .coms presumably available to those in the States or behind proxy servers of some sort, or, in fact, those with some other way round which I have, as yet, to work out. That’s what Twitter has to say about things, but notice the use of “may” rather than “will”. I would assume that Twitter does recycle user names, though, because they’re hot on name squatting. Go and have a look at the whole section dedicated to it if you don’t believe me. The catch is that I happen to know of a chap desperately trying to get his user name in full knowledge that its current owner has done sod all with the account for well over the six month period. He has petitioned Twitter but they’ve done nought about it. All mouth and no trousers it seems. The trouble is that the internet is still young; an adolescent really. It’s only now that this kind of thing is becoming an issue and, given the surprise of most of the press officers when I called, it’s something that we the users are realising a lot faster than the big web players. So, there’s a few ways this can go. Either they get wise to this and realise that they need to start releasing user names or they get wiser and start charging some kind of premium for them. That was Facebooks toe in the water this morning. I wonder how well that would go down if Google tried the same? So, what happens to your user name when you die? Well, that depends. For now, it’s very possible you can take it with you to the grave. Then, it seems my choices are either begging Google for some kind of alert service for when my name is released or a cash offer to the current owner. If you’re listening [email protected], how does fifty quid grab you?